Serving-Ice-Cream.com asks, "What's going on in the ice cream world? ": Show Your Ice Cream Flavor To the World! Show Your Ice Cream Flavor To the World! One of the greatest things about making ice cream at home is the opportunity to put your creativity on display. Your mix-in and flavoring options are only limited by what is in your cabinets and fridge, and you can even make an emergency run to the store if you are struck by a particularly great idea. Of course, there are bound to be some flops along the way (who knew that cole slaw and ice cream wouldn’t mix? 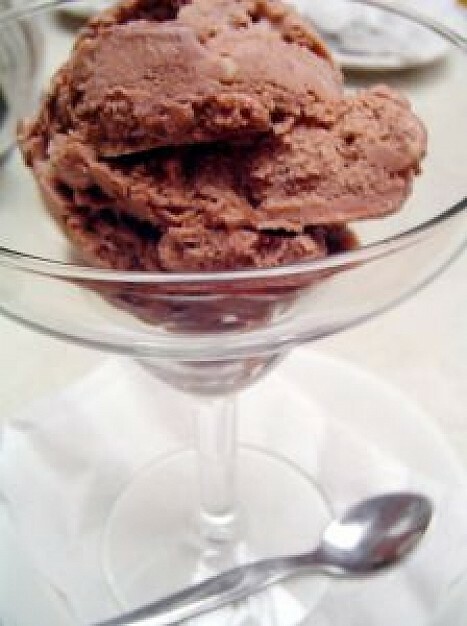 ), but generally experimentation results in delicious, unique ice cream flavors. Now, however, you have the chance to design your own new ice cream flavor and watch it go national. Baskin-Robbins is hosting a contest based on their website, open to anyone that thinks they have a good ice cream flavor idea. After all the entries are submitted and tested, the company will select a winner and offer the new flavor at ice cream parlors across the country. You create your unique flavor by going to the website and using a program to put everything together. There are three different components to each flavor: an ice cream base, ribbons (like fudge, caramel, and strawberry), and a lot of different mix-ins. Just browsing your options will probably have you heading to the freezer to actually eat some ice cream! When you finally finish designing your new ice cream flavor, submit it and wait for the congratulations to roll in. Of course, you don’t have to wait for a national chain to produce your flavor in order to enjoy it at home. If you’ve never tried your hand at this, it’s time to get creative! An easy way to get into it is to use one of our great ice cream recipes as a starting point. If you want to mix in some kind of exotic fruit, find a recipe that tells you how to best prepare fruit for use in ice cream. If you’ve come across a milk substitute that you’ve never seen, read our almond milk recipe to get some tips on getting your ice cream to be the right texture. Testing your recipes on your family and friends is the best way to get a quick, “real-life” response to your idea. After all, we didn’t always have chocolate chip cookie dough ice cream; someone had to come up with the idea first. If you think you already have a hit, why not head over to Baskin-Robbins’ website and enter it in the contest?